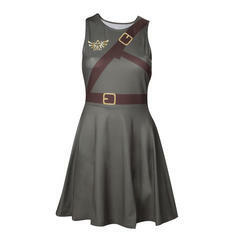 By the power of Graysku... erm... the Triforce! 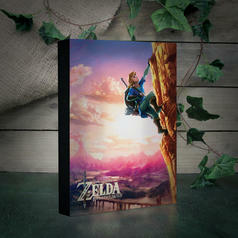 We shouldn't have to say too much on Zelda, right? The Princess of Hyrule grabbed her sword and shield and is now looking for the legendary Triforce while fending off Ganon's minions. What? You don't play Zelda, but Link? Then why is it called The Legend of Zelda? Well, okay then. 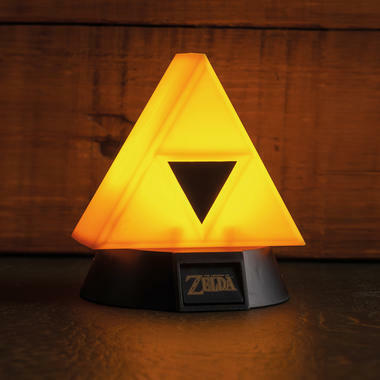 The The Legend of Zelda 3D Triforce Light does not care whether you fell prey to one of the most common misconceptions about the Zelda video-game series. It just wants to bring some light into your life! You can activate and de-activate the Triforce's power by pressing the button on the decorative pedestal whenever you want some nice ambiance while gaming. And who knows, the light might be able to grant wishes just like its in-game counterpart ;). 156 SEK lade... 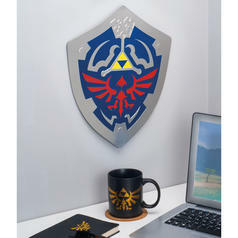 The Legend of Zelda Metal Shield Against this shield, Ganon doesn't stand a chance! 73 SEK lade... 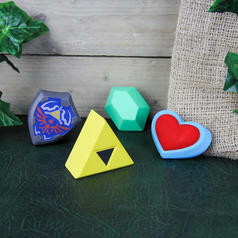 The Legend of Zelda Stress Toys With these stress toys, you'll keep a cool head while gaming! 261 SEK lade... The Legend of Zelda Luminart For Hyrule! 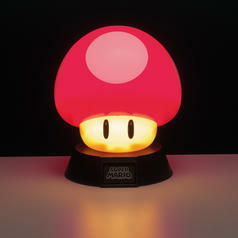 And for stylish lighting!